Eyewitness to life at Haitian and Dominican Republic border crossing On Mondays and Fridays, Haitians are permitted to cross the border into the Dominican Republic without immigration controls to trade at the market. Haiti is now the second-biggest market for Dominican goods - after the US - and Dajabón is the biggest commercial crossing. 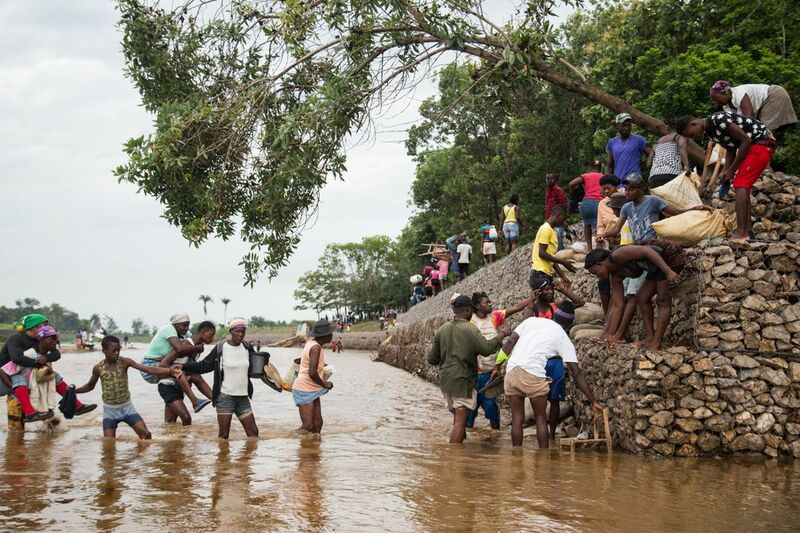 The brown waters of the Massacre River separate the city of Dajabón from its larger Haitian counterpart, Ouanaminthe. The river's name stems from a colonial era slaughter of French buccaneers, but it ran red with blood again in 1937 after the Dominican dictator Rafael Trujillo ordered the mass killing of Haitians. The military open the border at 8am, yet Haitians arrive around 5am to cross the unopened & guarded gate on the bridge. Many climb the gates when the Military are distracted, whilst hundreds of others wade across the Massacre river to ensure a prime selling point within the market and also avoid having to pay potential bribes to the guards. The market is completely fenced in from the rest of the Dominican Republic and the road out of Dajabón has numerous military checkpoints to prevent Haitians from entering the country. Most of what the Haitians sell is used clothes & shoes, subsequent hand me downs from U.S. thrift stores, bulk dry goods, and housewares. Date Uploaded: Oct. 4, 2018, 10:08 a.m.